Building on the success of New York City�s acclaimed Barb�s Restaurant, Omar Balouma & Abdellah Ksiyer introduce Arabesque, named for the art form defined by a complex ornamental design of intertwined flowing lines & geometric figures originally found in Moorish decoration. 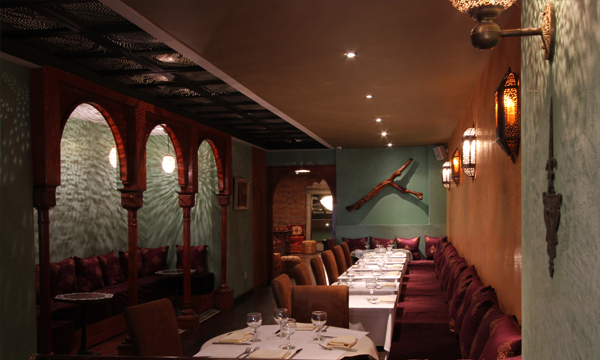 Arabesque Restaurant resonates this in its architecture, d�cor and menu with a modern Moorish dining room, a traditional Moroccan lounge and a menu that carefully intertwines North African, Middle Eastern & Mediterranean cuisines. © Copyright 2012 Arabesque. All Rights Reserved.